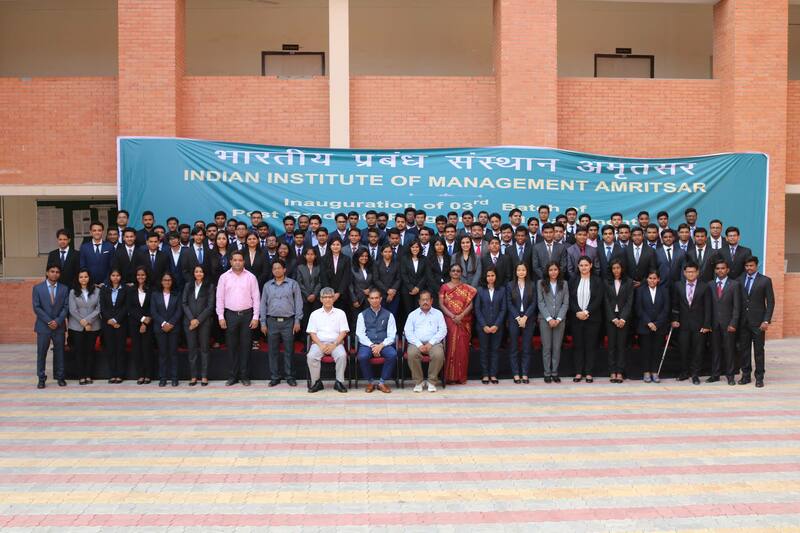 On 12th of January 2017, the students of IIM Amritsar had a one more eye-opener session in the field of entrepreneurship from MR Ashok Soota, Executive Chairman, Happiest Minds. Ashok has also co-authored “Entrepreneurship Simplified, a book designed to improve the probability of success of ventures. The topic of the session was “Idea Generation and Validation”. The topic started with a simple question “How to validate assumptions?” and he describes significances of knowing target market, its size, and competition to validate the assumption. Mr.Soota shared his views on disruptive model and steps to identify or create a disruptive business model. He further explained one should have a kaleidoscope model of understanding the business which will help them in preventing from shutting down during the time of hardships and quoted that pricing is not a strategy, but a mug’s game. In the later part of the session, Mr. Soota described scaling up strategy and challenges company face in determining whether to go depth or breadth. Mr. Soota discussed how a startup can compete in the market which is dominated by high profile players. He explained some key strategies like Judo strategy, Taichi Thinking, Guerilla warfare and insisted how important culture is for an organization. He quoted that “Culture is that one differentiator that cannot be replicated”. The entire session was deeply motivating and interactive. It seeds the spirits of entrepreneurship in the minds of the students.